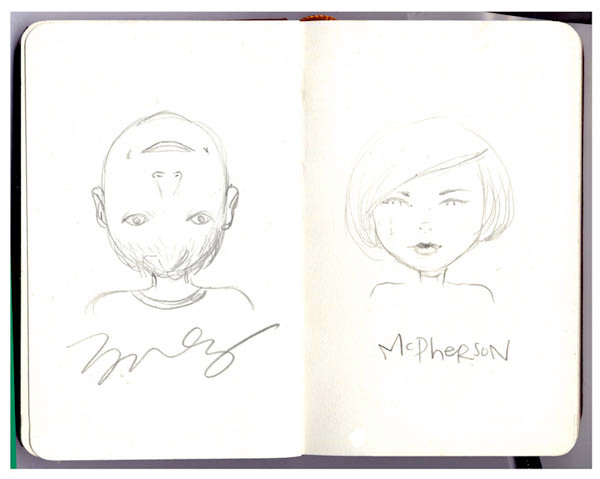 James Jean and Tara McPherson Drawings! I was in London for Comica last week and headed over to the ICA to see James Jean and Tara McPherson take about their work. It was a great presentation by two of my favourite artists working today, and good to hear a little background to some of their pieces. After the show they both drew in my book -ahh the awesomeness! Quick sketchbook post from a recent drawing visit to the wonderful Natural History Museum in London. Charles Dawin (drawn from the sculpture of him in the main hall) and a human skull with blue pencil and graphite.